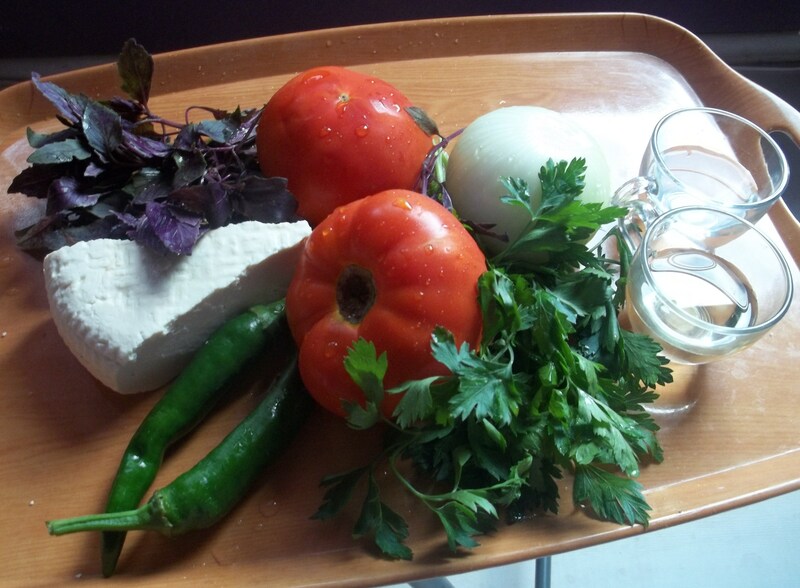 Georgia is blessed with wonderful fresh vegetables, ideal for making delicious, refreshing salads. 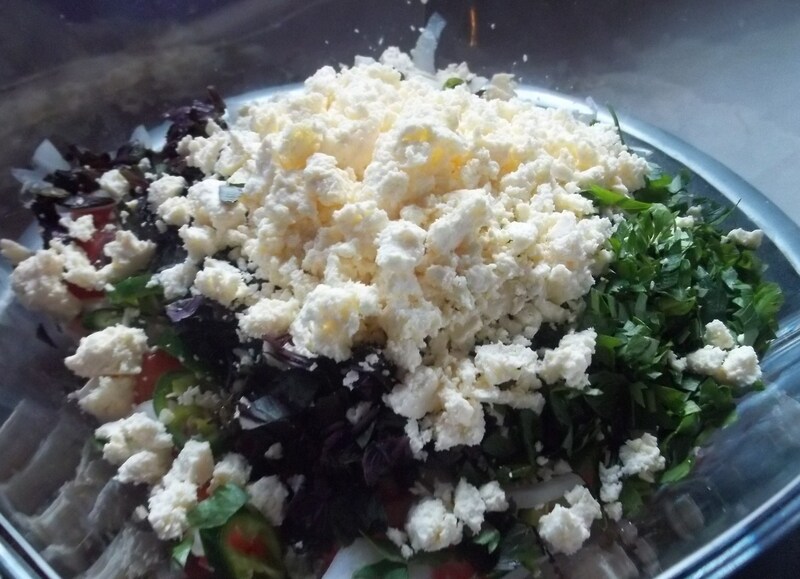 This recipe uses Georgian Imeretian cheese but a substitute could be mozzarella cheese. 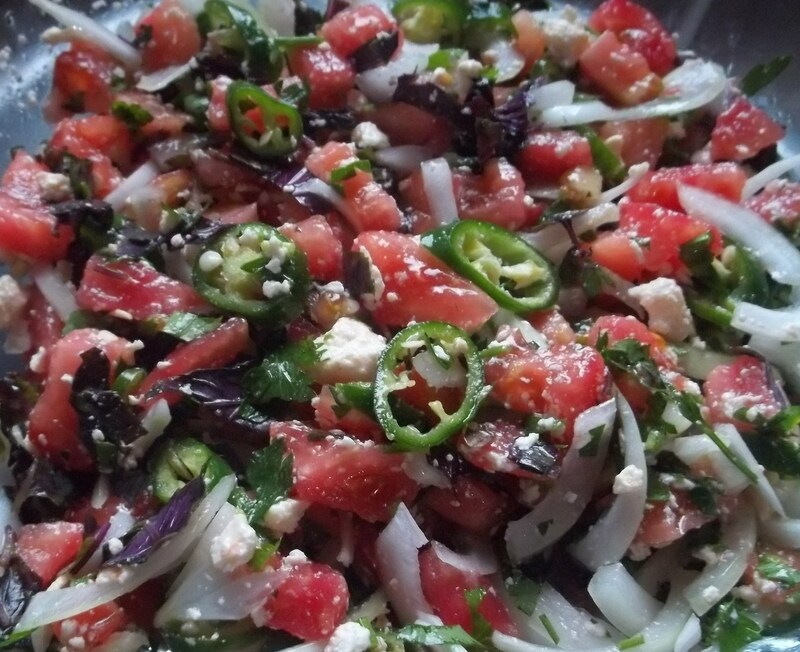 Ingredients: Tomatoes, fresh parsley, fresh purple basil, green peppers, onion, 1.5 tbs white wine vinegar, 1 tbs vegetable oil and Imeretian cheese. Preparation. 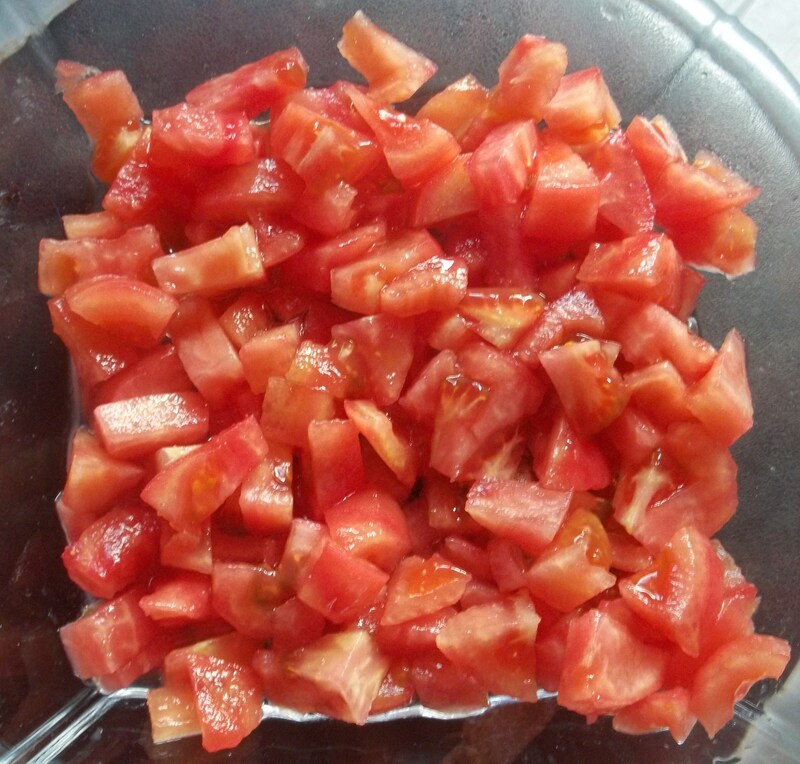 Chop the tomatoes and add to a mixing bowl. Pour in the white wine vinegar, oil and salt (according to taste but not too much if you are using Imeretian cheese as the cheese is quite salty. Mix with a wooden spoon. 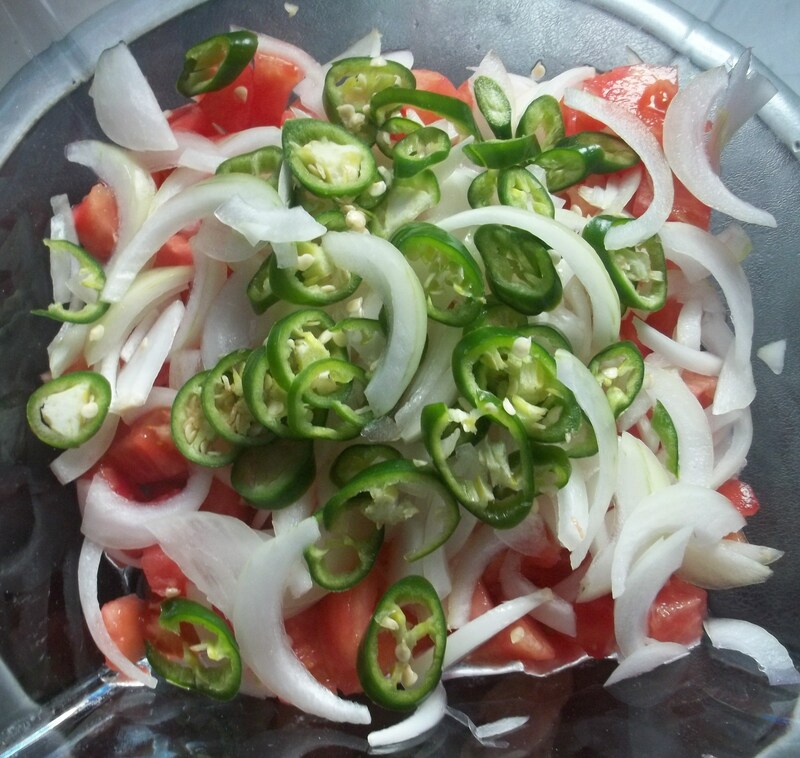 Chop the peppers and onion and add to the bowl. 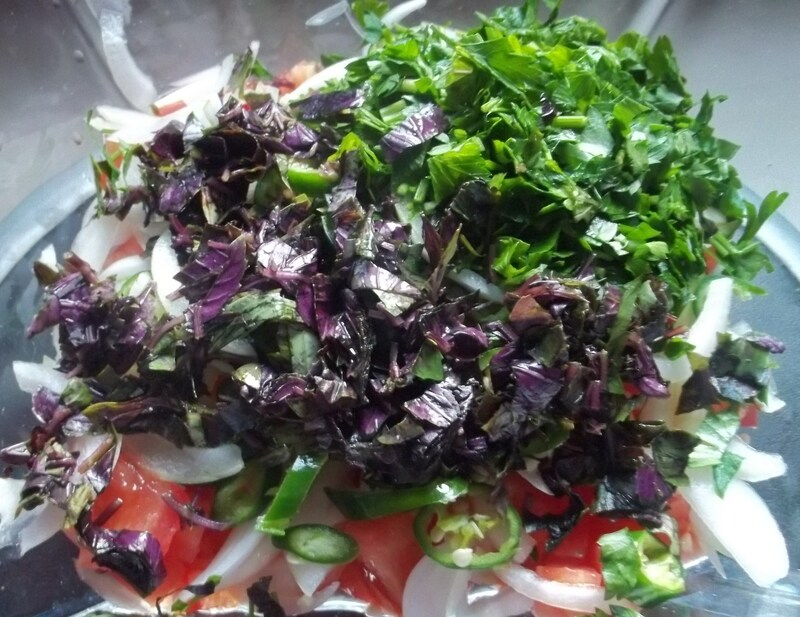 Chop the fresh parsley and fresh purple basil and add to the bowl. Crumble the cheese and add to the bowl. Carefully mix the ingredients and serve. Enjoy your salad! 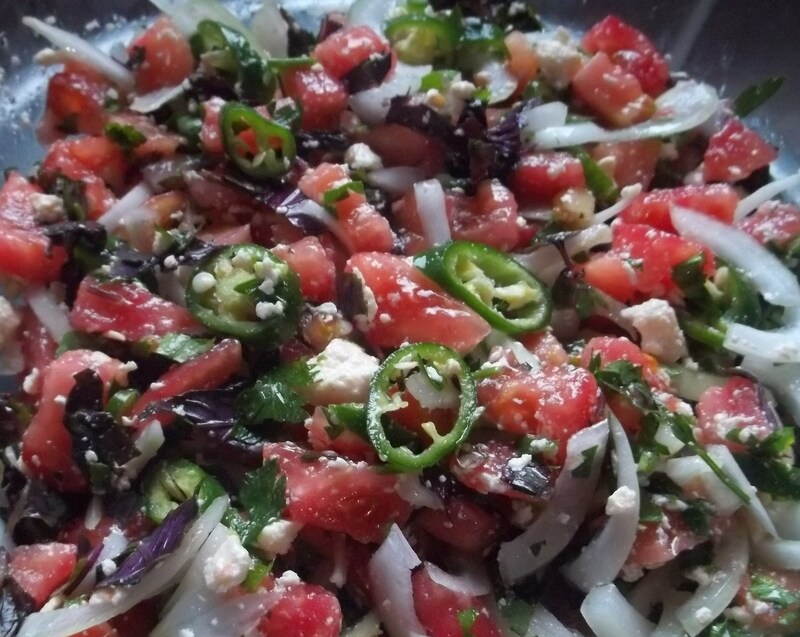 Click here for more Georgian Salad recipes.